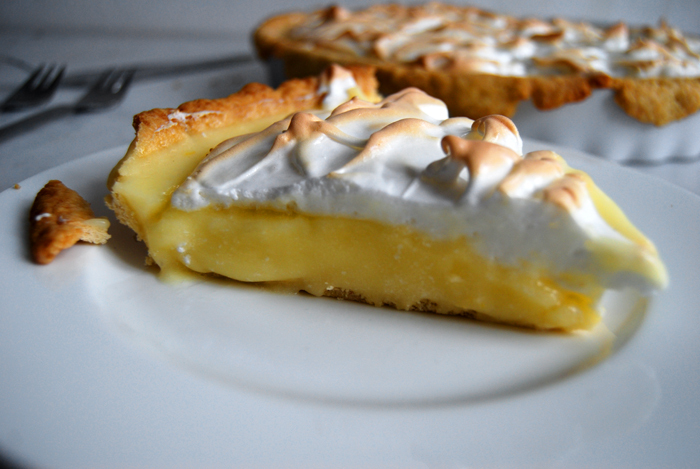 I had the first lemon meringue pie of my life in Malta, just a few years ago. It was one of those things I always wanted to try but always took second place. Whenever I went to a Patisserie and spotted a pretty meringue, my mood still took me somewhere else and chose something different. Now I know that was a mistake! It was summer and we stayed at Jenny’s house in Malta. It was hot (as always) and everybody met in the kitchen, also as always. My Maltese Mama made a lemon meringue pie for a party and I followed her baking curiously but not overly excited. I must admit that its delicate beauty appealed to me and the fact that she had squeezed the juice of countless lemons – from her own lemon tree! – into the curd caught my attention. Maltese lemons taste amazing, they are spoiled with sunlight, juicy and strong. And Jenny’s are simply the best! So, I tried the pie and it it was awesome. 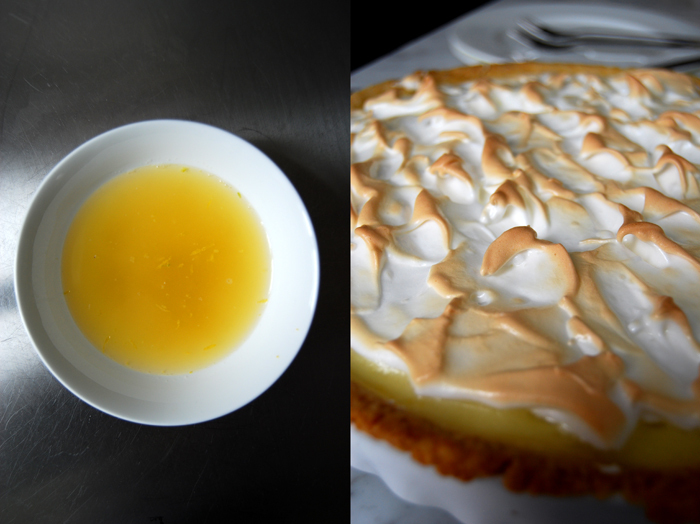 A crunchy base, buttery and crisp as I love it, the lemon curd perfectly balanced between sweet and sour, and the meringue was fluffy and slightly sweet. I had to get her recipe! She gave it to me, and since then I made it, with little changes numerous times, mostly eating more of it than I want. 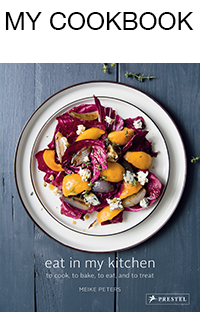 It’s the perfect dessert for a dinner party. It looks beautiful and you can prepare it in advance, it should actually sit for a few hours so that the curd can become firm. I skipped this point as you can see in the photos, the curd is still a bit soft. The smell of butter and lemon in my kitchen was too much of a teaser, I had to try it. I gave the pie 10 minutes to cool on my balcony (in arctic temperatures), impatiently, waiting for my first bite of Jenny’s awesome Lemon Meringue Pie! 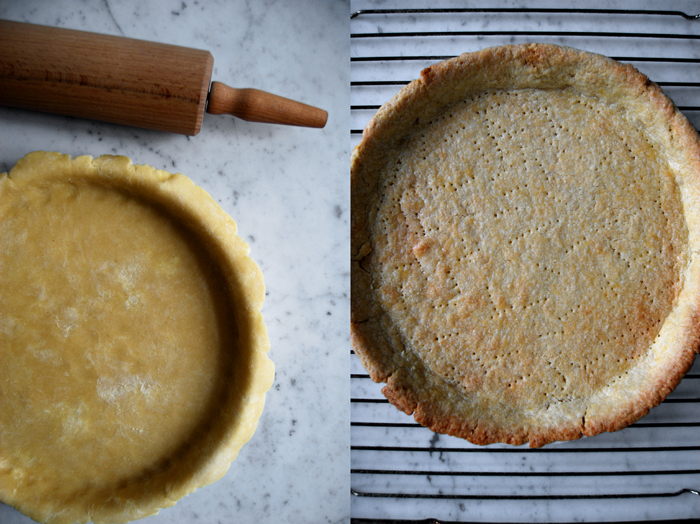 For one pie you need a round 27cm / 10.5″ baking dish or tart pan. Combine the flour with the sugar and salt. Cut the butter with a knife into the flour until there are just little pieces of butter left. Continue with your fingers and work the butter into the flour until combined (there shouldn’t be any lumps of butter left). Add the water and continue mixing with the hooks of your mixer until you have a crumbly mixture. Form a disc, wrap in cling film and put in the freezer for 15 minutes. Set your oven to 210°C / 410°F top/ bottom heat. Roll out the dough between cling film and line your baking dish with the flat pastry. Prick it with a fork and blind-bake in the hot oven for 18 minutes or until golden. Let it cool completely. Combine the sugar, cornstarch and salt and mix together with the water in a small sauce pan. Bring to the boil on medium heat, stirring constantly. When the mixture starts to bubble, turn down the heat, and cook for another 3 minutes, again, stirring constantly, it will become thick. Take the pan off the heat. Mix 1 tablespoon of this mixture into the egg yolks, stir and pour everything back into the remaining mixture in the sauce pan. Bring to the boil, stirring, let it bubble for a few seconds and take it off the heat. Stir in the lemon juice and zest and the butter and let it cool. Beat the egg whites together with the salt, adding the sugar gradually while beating, until the white is stiff. Pour the lemon curd over the short crust and spread the stiff egg whites on top. Bake for 6 minutes or until the top is golden and crisp. Let it sit for 2-3 hours in a cool place. I knew it! You could open Jenny’s Pie Shop. 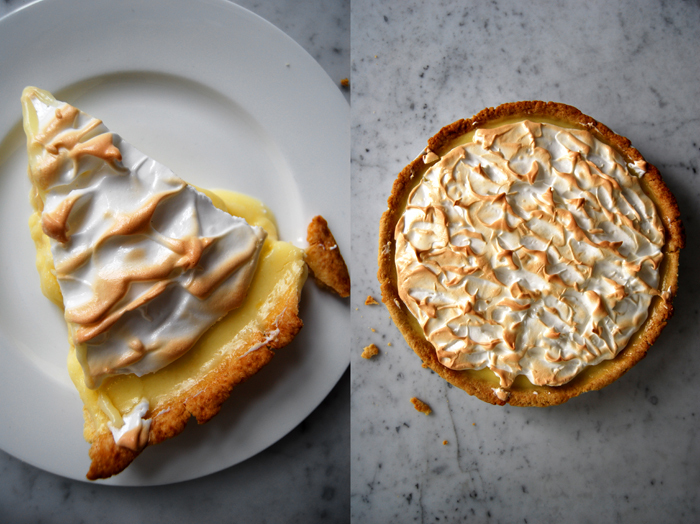 I love lemon meringue pie – it’s one of my absolute favourite desserts but not one that I bake very often. I must try this! You should! I love this recipe, the lemon curd is so strong and fruity and the short crust is great too. I’m really happy that my mother-in-law gave it to me! Hi Sandra, I’m sorry for teasing you! I can imagine that Jenny has a very long list of orders by now! !